not user friendly, factory reset before contacts be deleted, short lifespan of battery, themes are available but cannot be easily use for customization,this phone cannot be compared with other phones i owned.to those who plans to buy a celfone i am advising all of you not to buy th sony ericsson experia x8 trust me. Guys! I want to update it manually, but how can i enter to the recovery menu at start? How do i enter the service centre number to enable sms service? Guys you should go for Mods on Xda developers to solve your problems but Remember your phone will need to be rooted and that unleashes warranty (You will find All what you need). 1. Should be 3G ready. 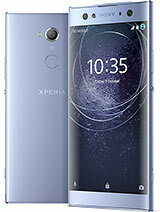 I have 2 phones in my mind Xperia X8 and HTC Wildfire. Which one should I go for????? does this handset has a security code like the nokia phones? can apps move to SD card?? i dont think so..
X8 is a good phone, but not user friendly.... It will give hard time creating messages, sometimes it hangs, to rate it 1 to 10... 5 only.